Laurel Lance tried to reform, but some people simply can’t change. Last time on Arrow, Emiko Queen systematically destroyed Laurel’s new life by exposing her past and framing her for murder. When Dinah Lance and Team Arrow didn’t back her up, Laurel went on the run. Meanwhile, Oliver got confirmation that Emiko is working with the Ninth Circle, the terrorist organization led by Dante. 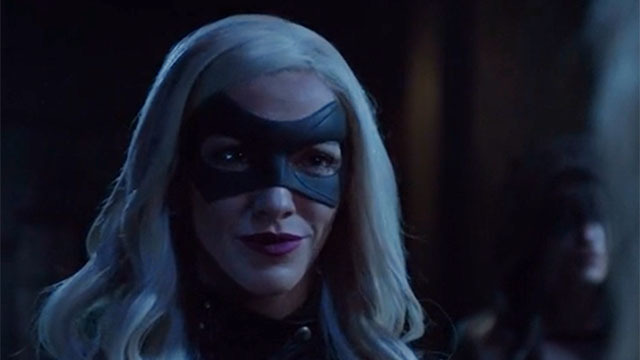 In Arrow season 7 episode 18, Laurel’s story came to a head while Oliver discovered another piece of his sister’s past. With nothing else to live for, Laurel reverted to her Black Siren persona and quickly formed a partnership with Shadow Thief. Together, they went on a crime spree that utilized intel that Laurel gained as the DA. Meanwhile, Felicity refused to believe that her friend had gone bad. She even cleared Laurel of the murder charge, but that didn’t impact Laurel’s current crimes. Dinah was unmoved by Felicity’s attempts to save Laurel’s soul, and so was Laurel herself. 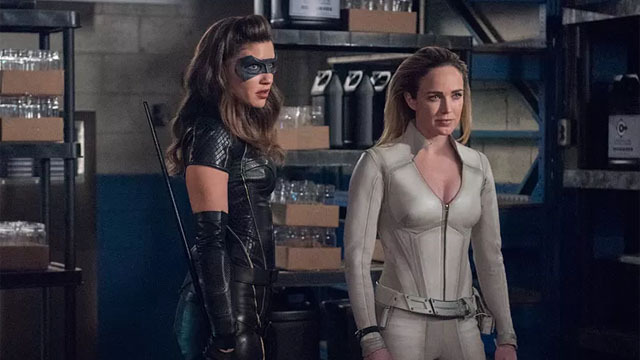 That’s why Felicity recruited Sara Lance, the White Canary, to help them reach Laurel. However, when Felicity and Dinah tracked Laurel down, they found a bomb trap waiting for them. Felicity was despondent because she truly believed that Laurel had changed. But it was Sara who pointed out that Laurel rigged the trap with a warning so they could survive. Finally pooling their resources, Sara, Felicity, and Dinah confronted Laurel and Shadow Thief. The trio of heroines realized that Laurel still had lines she wouldn’t cross, and challenged her to kill them. Instead, she turned on Shadow Thief and broke their alliance. Of course, Shadow Thief saw it coming and had backup of her own. But the newly re-reformed Black Siren helped the heroines win the day. Later, Laurel was cleared of all charges and Dinah apologized for not standing by her. However, Laurel announced her intent to return to Earth-2 in order to atone for her past. As a parting gift, Felicity gave Laurel the Black Canary costume of Earth-1’s Laurel. This is still Green Arrow’s show, and in Oliver’s subplot, he hoped to bring Emiko to his side by solving the murder of her mother. Oliver and Diggle did so in record time, and discovered that Kodiak of the Longbow Hunters was to blame. After easily capturing Kodiak, they interrogated him and deduced that the Ninth Circle had Emiko’s mom killed. But whether this will turn Emiko against the Ninth Circle remains to be seen. In the future, Dinah’s Canary network was targeted by Galaxy One and specially armored killers. Mia and Zoe narrowly avoided one of the killers, much to Mia’s anger and annoyance. Mia argued that they had to strike back against Galaxy One, but Dinah urged her to wait. Regardless of Dinah’s intent, Mia went off on her own and confronted one of the killers. He quickly got the upper hand, but Mia’s life was saved by the Black Canary a.k.a. Future Earth-2 Laurel. She told Mia to stay on the hero’s path and to give the killer’s mask to Felicity. 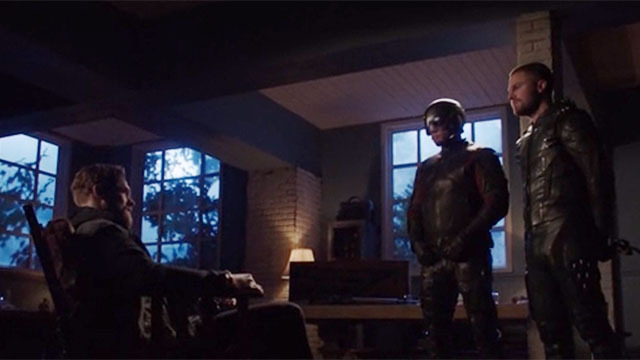 What did you think about Arrow season 7 episode 18? Let us know in the comment section below!